Hypohydration is the medical term for as dry as a dead dingo’s donga. A condition which not only increases temperature and fatigue, but also induces brain fade. Not really that detrimental if you’re in the gym, but out on the road – even at a legal 100km/h – you’re covering six car lengths every second; so concentration and full body motor control is critical to your long-term survival. On a daily commute hydration is rarely a worry. Most static hazards are signposted – even if the signs are often contradictory – and moving threats are mostly controlled by fellow humans. And while there’s more than a few exceptions, most present a bigger danger than dehydration. On a weekend ride, where there’s less traffic, the scenery is often better and the riding is far more exhilarating, so you’re more likely to spend consecutive hours enjoying yourself. And, the undeniable statistics prove, you’re far more likely to run wide and die at the base of a large gum tree than you are by slamming into myopic Merv as he backs out of his driveway. Working hard over a twisty ribbon of bitumen the chances are you’ll forget to keep your fluid levels up. It’s the same on a long cruise down the highway. And by the time your thirst becomes noticeable, performance is already diminished. At best you’ll be slow to react should there be an emergency. There’s no research linking dehydration to motorcycle fatalities – most of which occur on country roads on sunny afternoons – but it’s bound to be a factor. Dehydration is something you may not notice until the hairpin tightens inexplicably, the oil spill you didn’t see sends the backend sideways, or the marsupial that wasn’t there, suddenly is. It’s then rapid motor function can mean the difference between heart in mouth or heart smashed against your ribcage. Men in lycra were the first two-wheeled innovators of hydration, grabbing tiny cups of water as they pumped through picturesque hamlets on the Tour de France. Dakar riders took it a step further by adapting medical saline-drip bladders stuck in their backpacks to avoid stopping while the clock was ticking. Recreational riders don’t face the same pressures, however a frequent intake of small amounts of liquid provides far superior benefits than big top ups – usually after dehydration is already setting in. 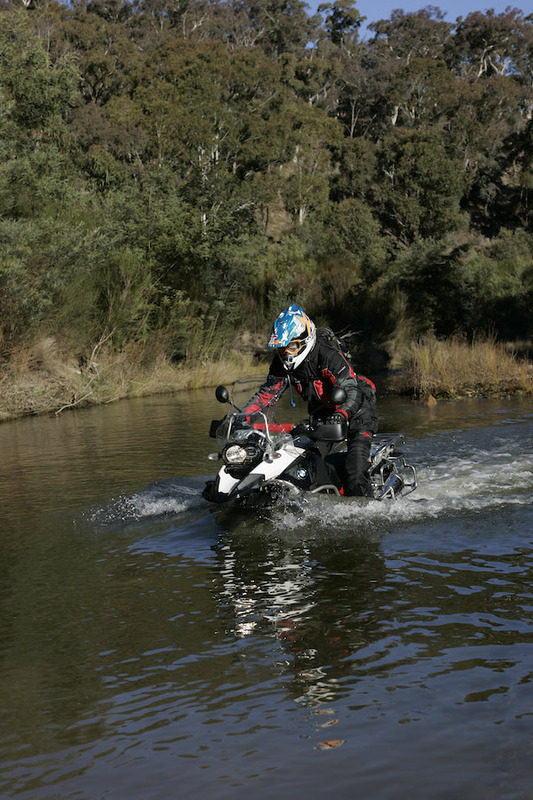 Road riders who spend most of their time on the bitumen, and whose riding consists mostly of day trips, have been slower to recognise the benefits of hydration than off-road adventurers. 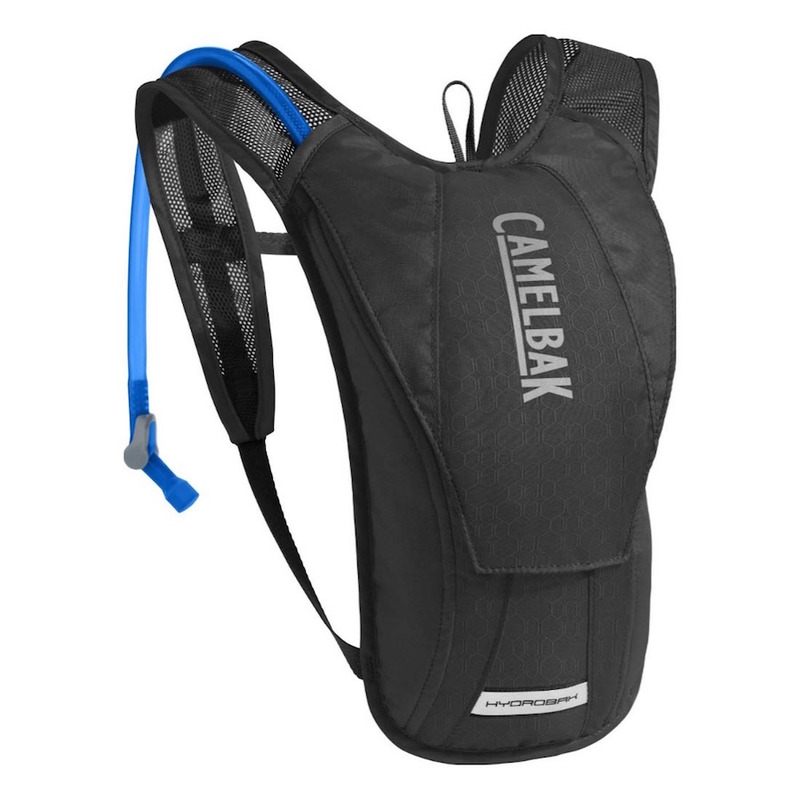 However, smaller single-purpose hydration units (pictured, left) are becoming more popular and most riding jackets have provision to slip a bladder in the back – which can also provide some body protection if filled regularly. Over the past decade hydration has morphed from a health issue to a fashion statement and many people conspicuously carry a bottle of Perrier just to go to the mailbox. Then again, most of my mates have survived for many years on whatever came out of the garden hose.